Galerie has finally arrived! With its uneven texture and color transitions, it makes a unique addition to the Knit Picks collection. Galerie is a 100% wool and is dyed in color ways reminiscent of some of the great art movements in Western culture. While not one of our softest wools, the spin of the yarn creates a ply that varies in thickness giving your knits a textured feel and look. Like Felici and Chroma, the self stripping pattern will be fun to play with when incorporating short rows, cables, and mitered squares. This limited release yarn is great for accessories, such as hats, cowls, and mittens and also felts beautifully. Need some ideas? We have a few! Bella Striped Hat – use one skein for a fun stripey hat, or mix two of your favorites to make it ultra colorful. 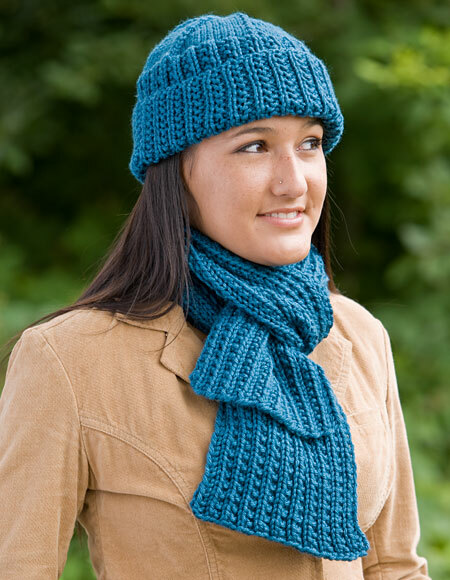 Farrow Rib Hat & Scarf Set – create a unique hat & scarf set with your favorite color. 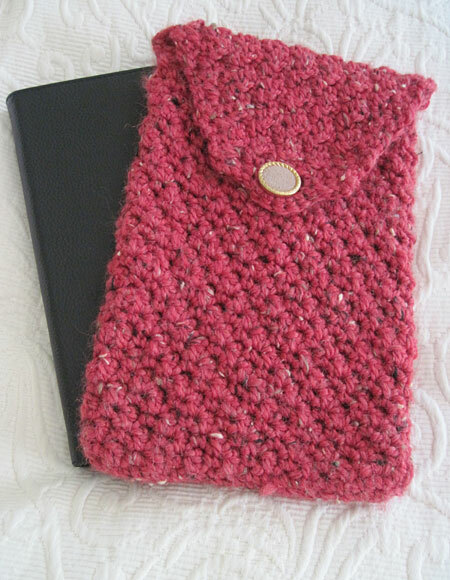 Crocheted eBook Reader Case – protect your precious tablet with a cozy cover. Wanna grab them all? Try our Galerie Value Pack. We can’t wait to see what you think! But hurry, these are limited edition skeins – once they’re gone, they’re gone!